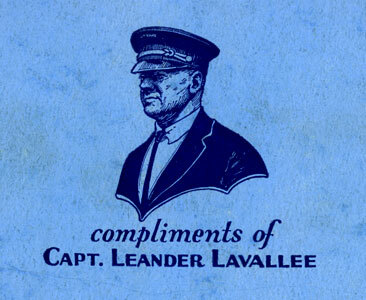 Captain Leander Lavallee. 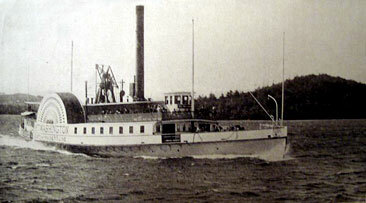 Born c 1870, died c 1944. 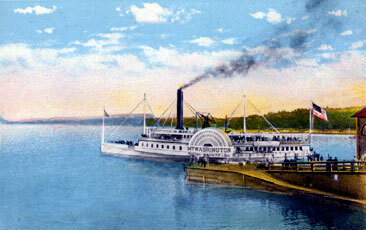 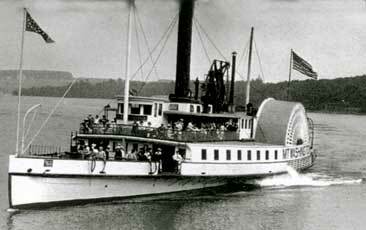 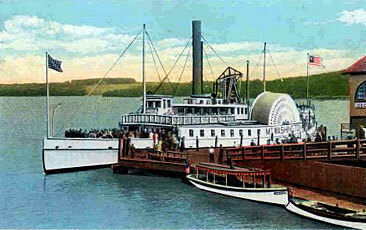 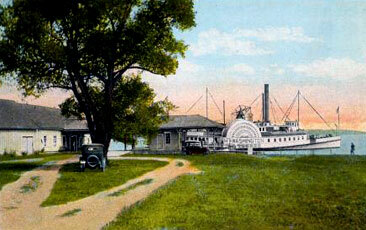 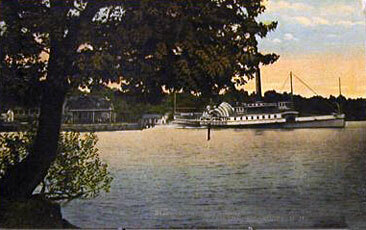 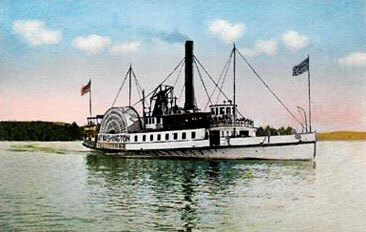 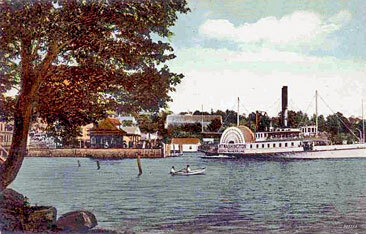 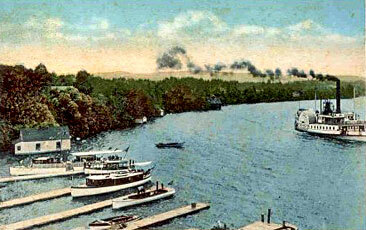 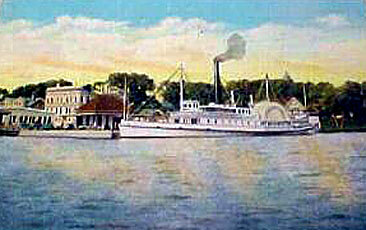 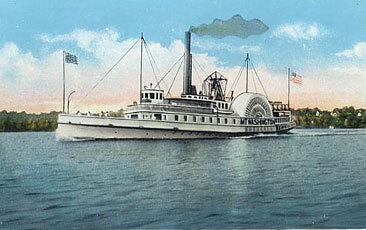 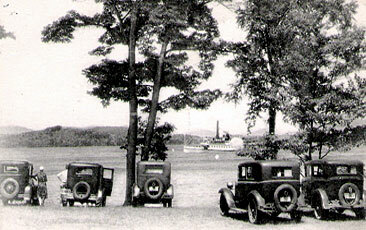 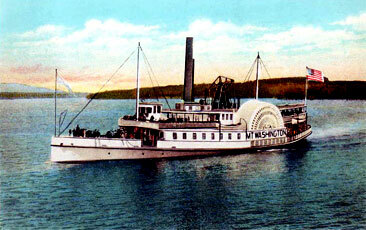 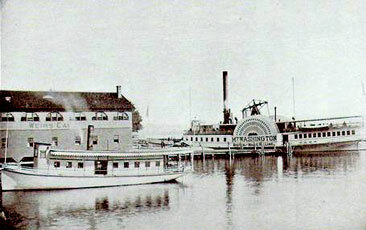 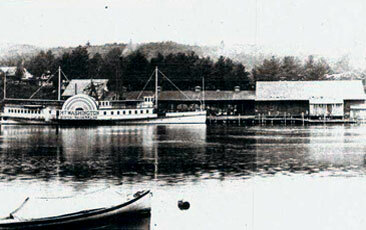 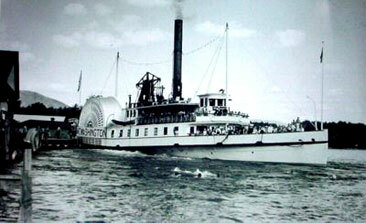 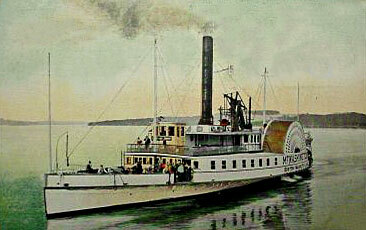 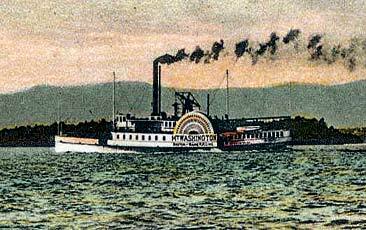 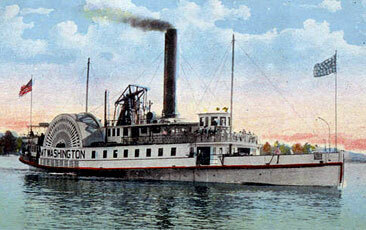 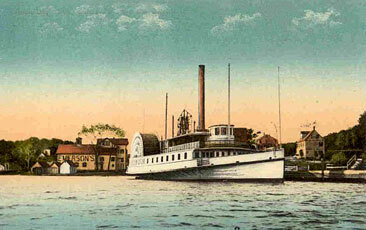 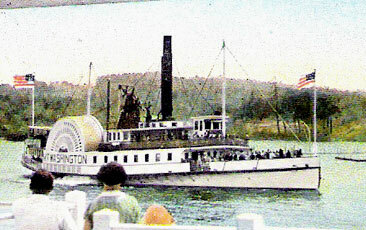 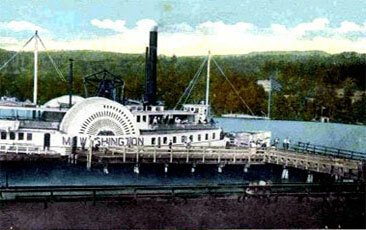 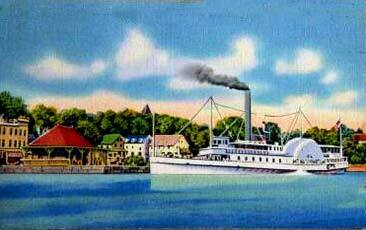 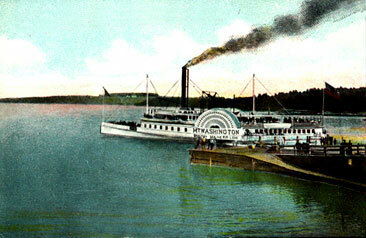 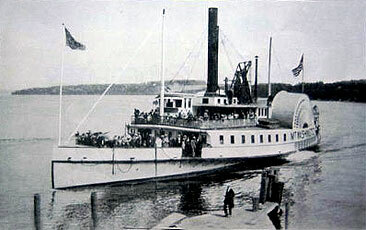 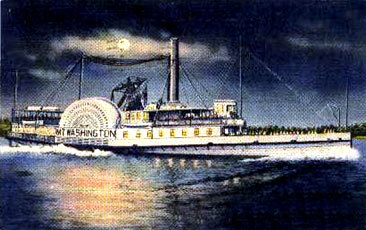 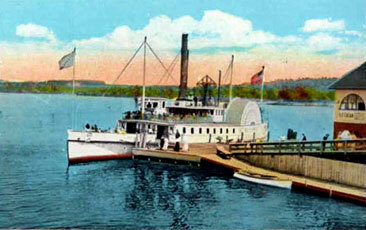 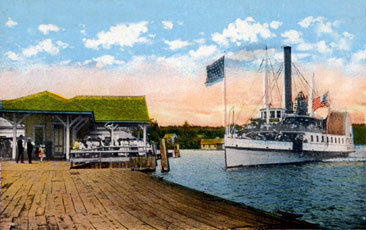 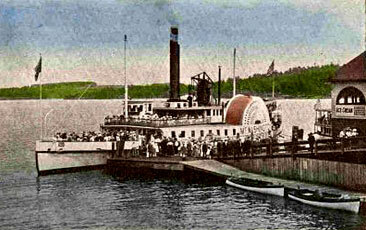 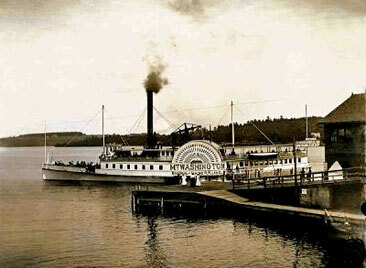 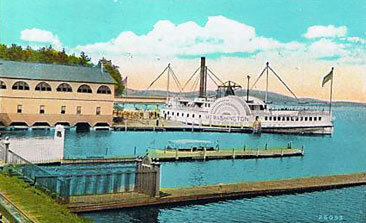 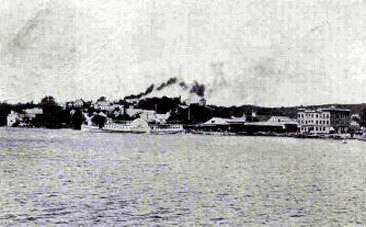 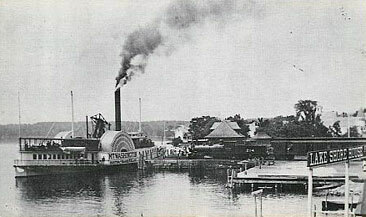 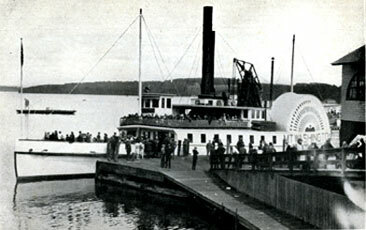 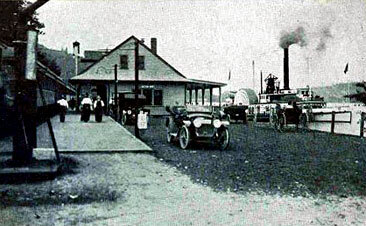 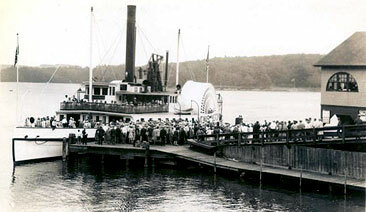 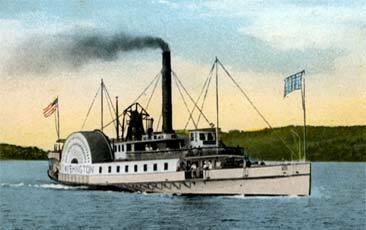 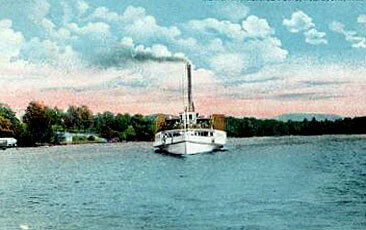 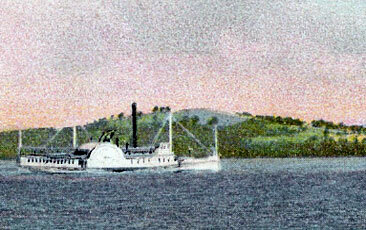 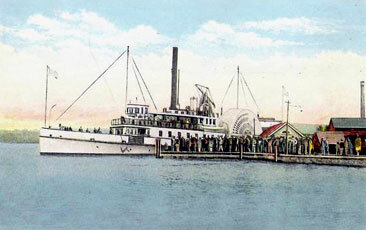 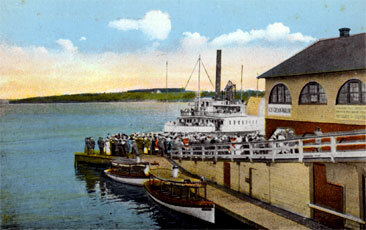 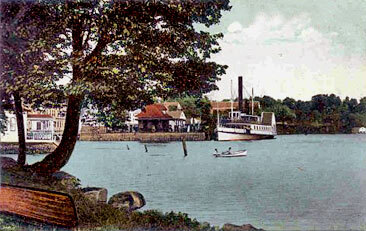 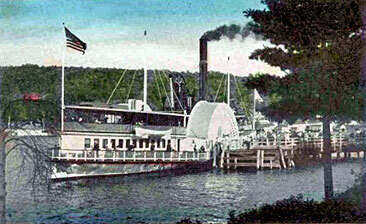 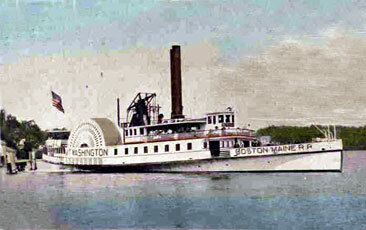 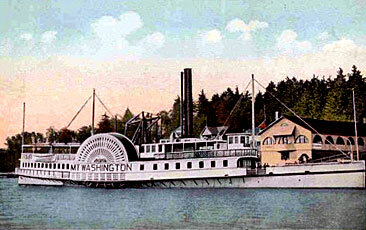 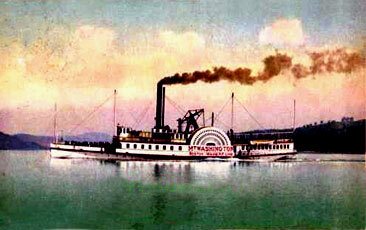 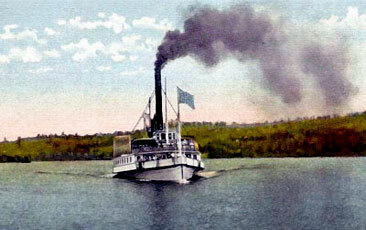 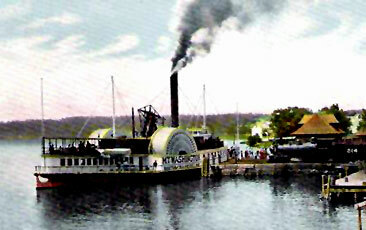 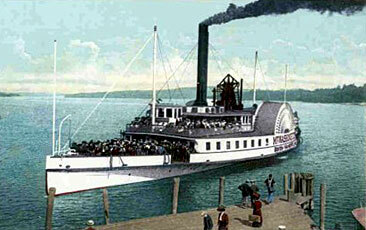 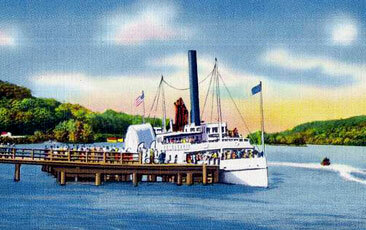 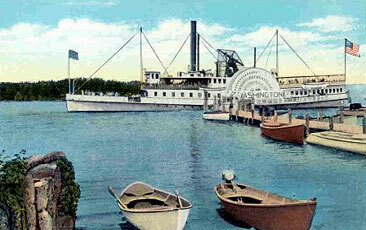 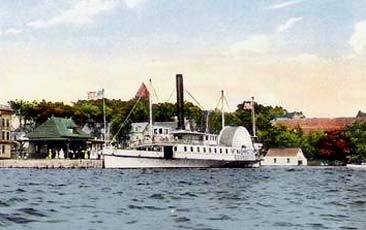 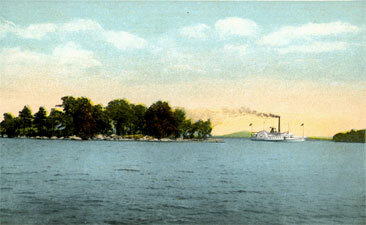 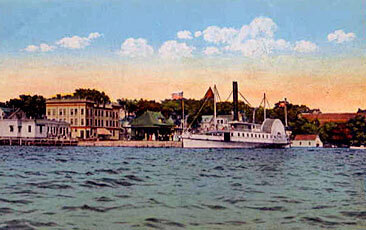 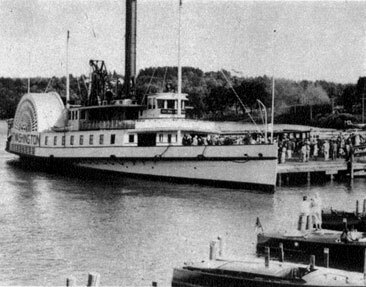 Owner of steamer Governor Endicott 1919-1922. 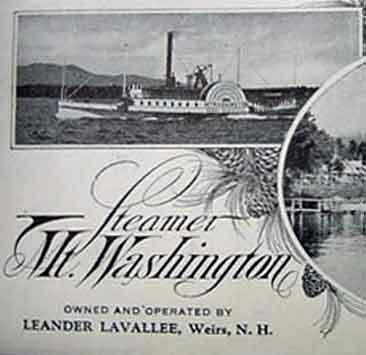 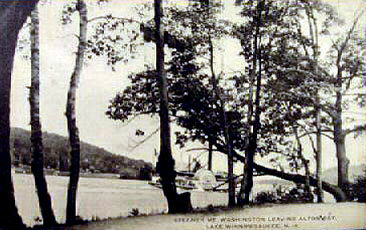 Owner of Mount Washington 1922-1932. 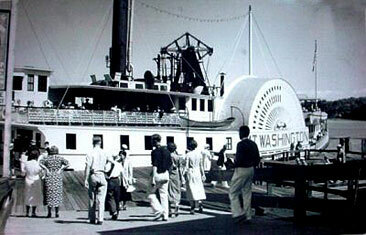 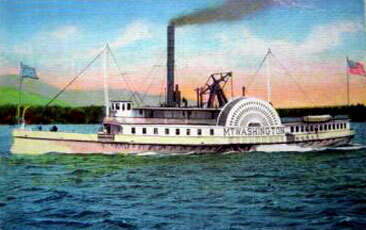 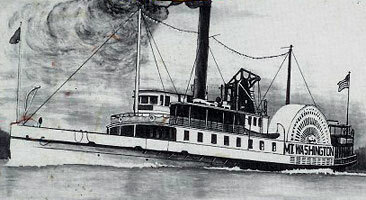 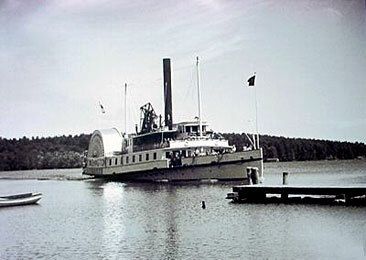 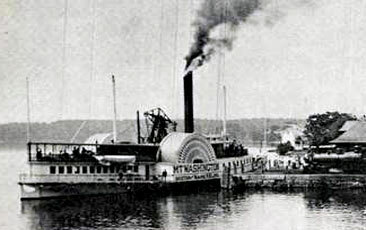 Owner of steamer Marshall Foch 1932-1935. 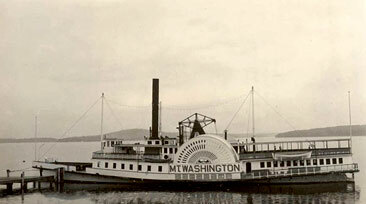 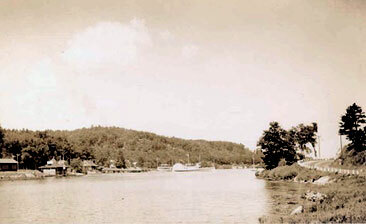 Owner (again) of the Mount from 1935-1939. 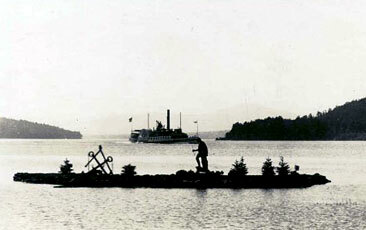 Builder and part-owner of new Mount 1940-1942. 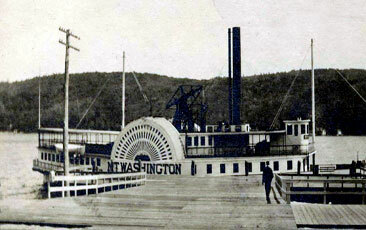 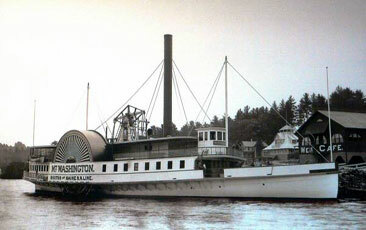 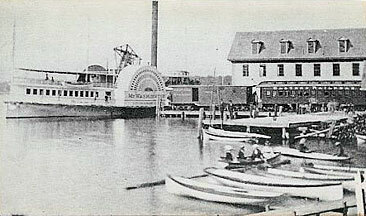 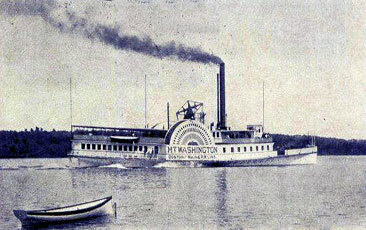 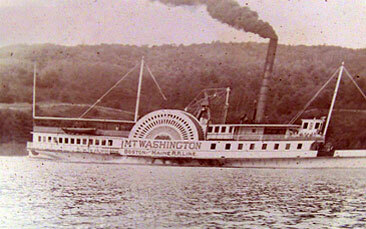 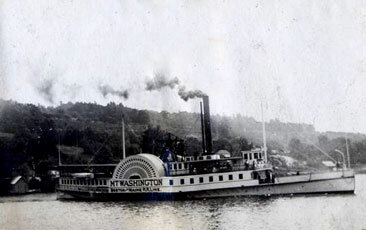 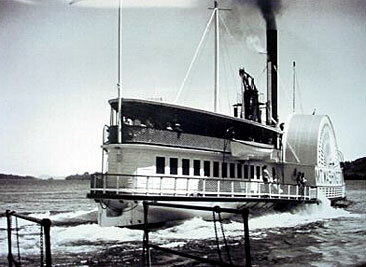 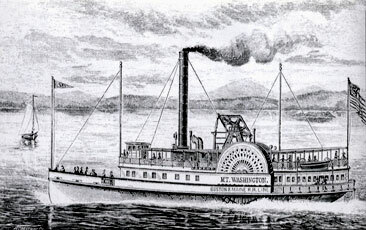 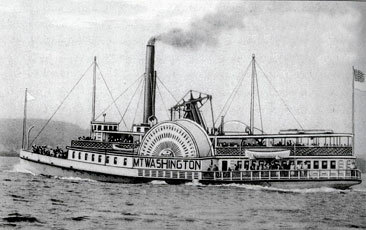 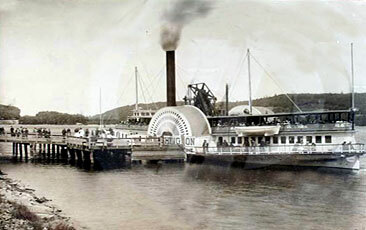 The above photo of the old Mount (magnified below) is unlike any other in this image collection, as it shows TWO smokestacks instead of one, and the second deck extended all the way to the prow of the vessel. 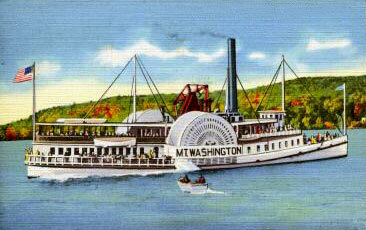 This is simply a case of mistaken identity. 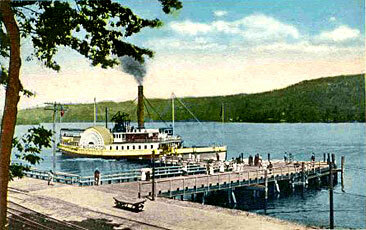 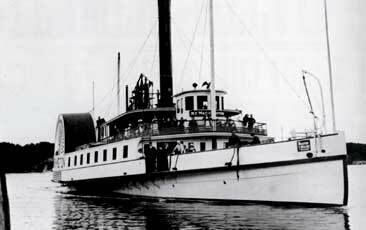 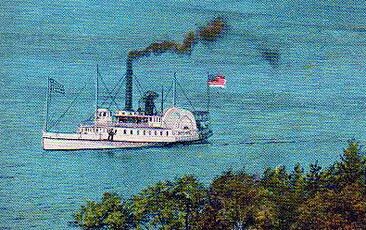 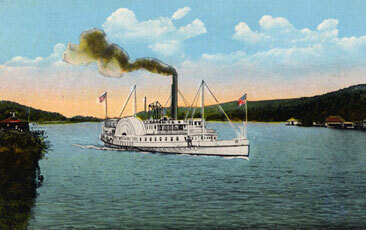 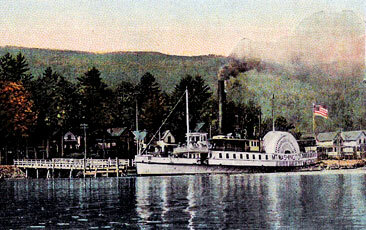 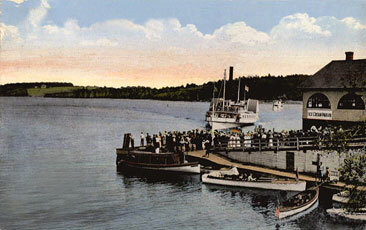 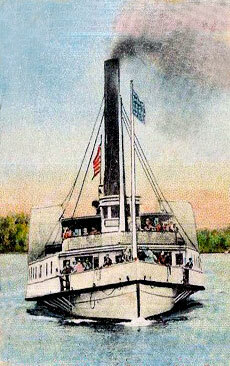 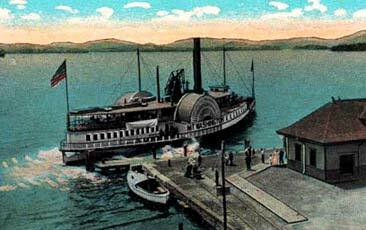 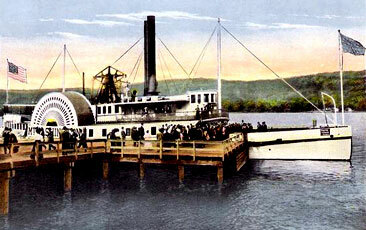 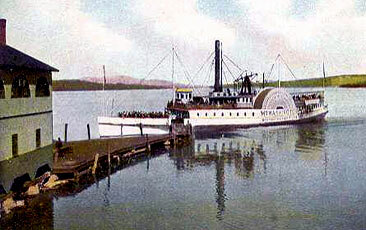 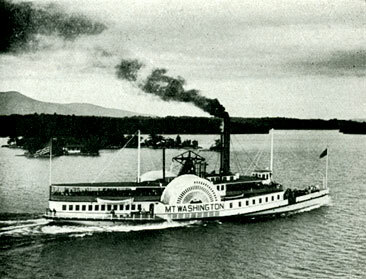 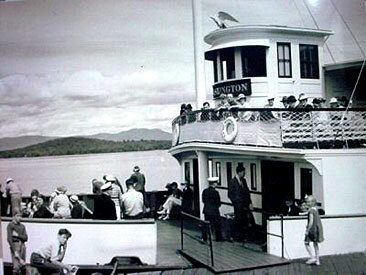 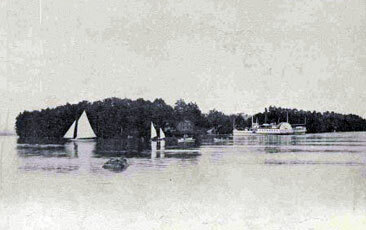 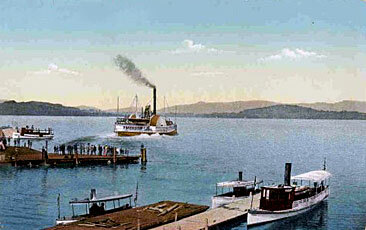 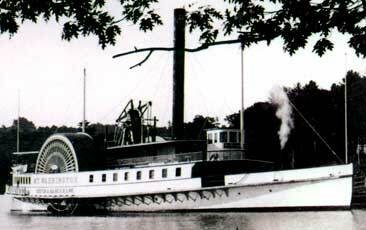 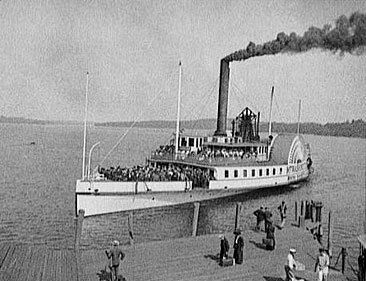 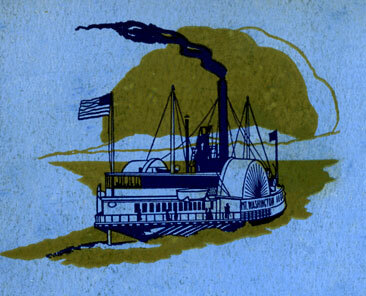 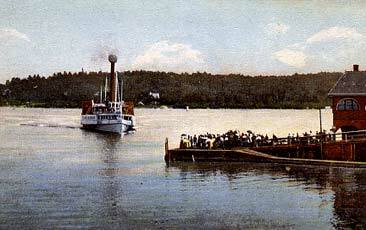 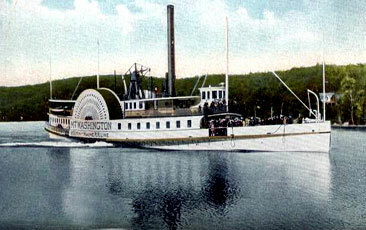 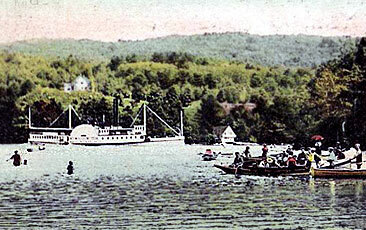 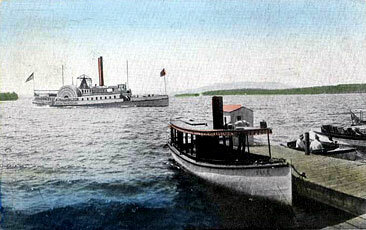 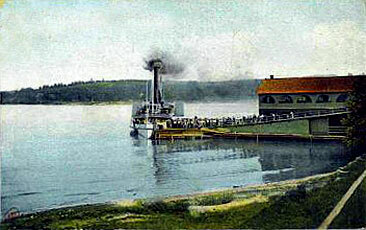 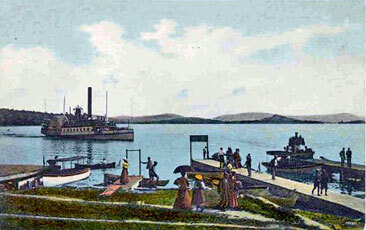 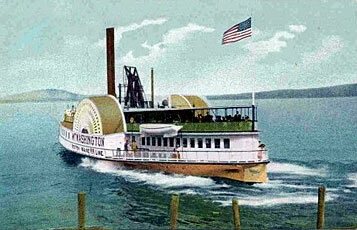 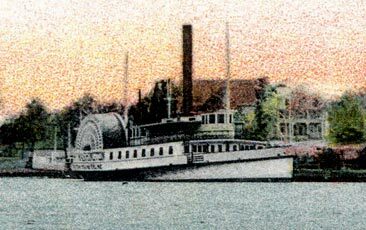 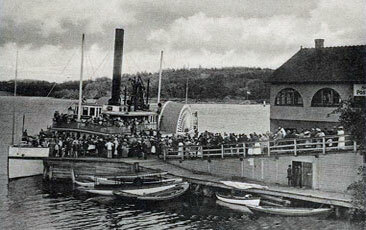 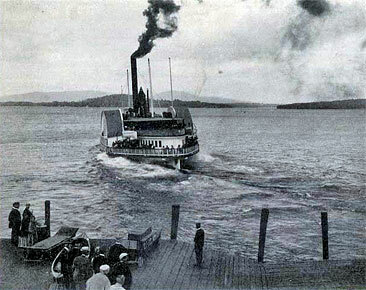 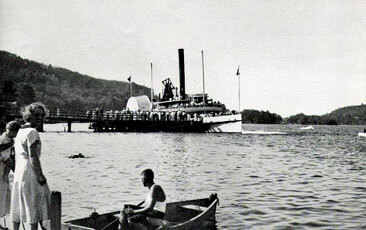 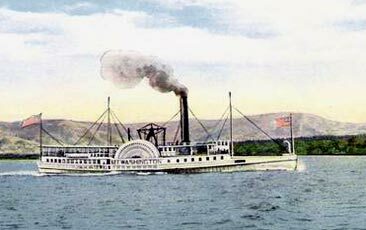 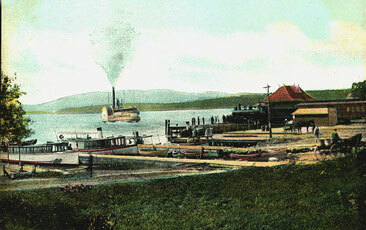 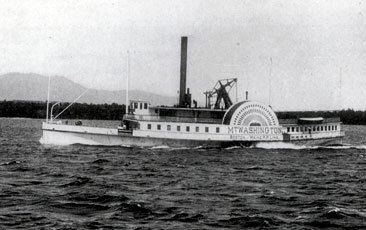 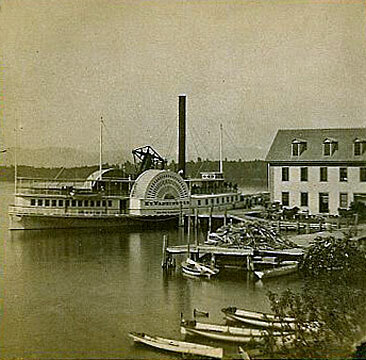 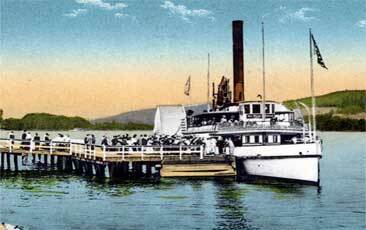 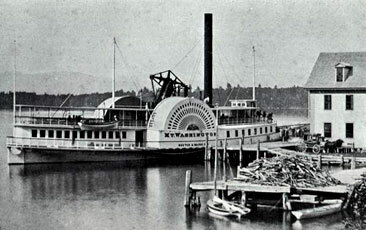 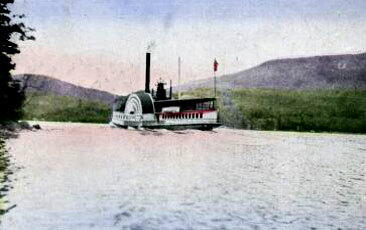 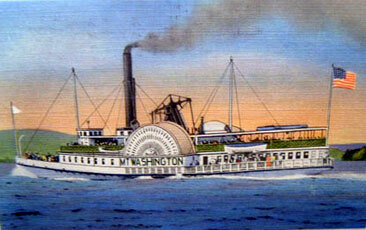 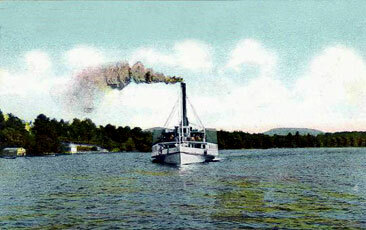 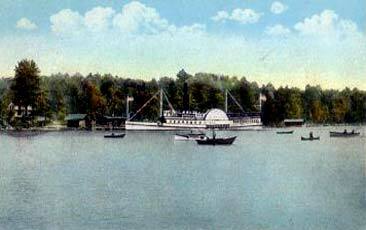 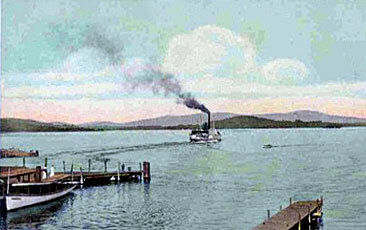 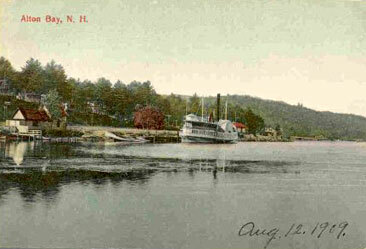 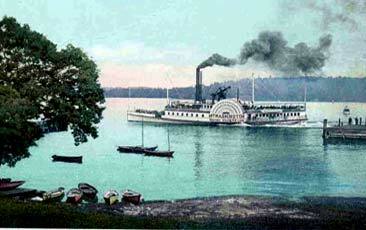 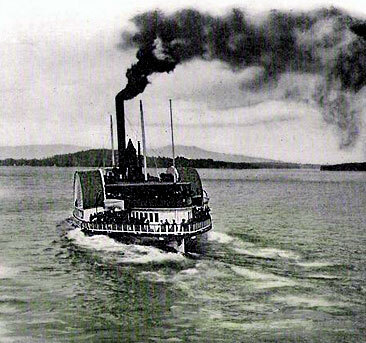 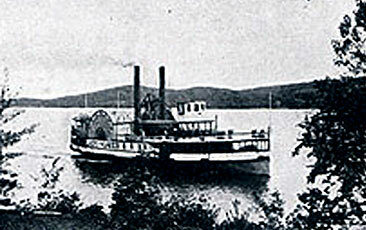 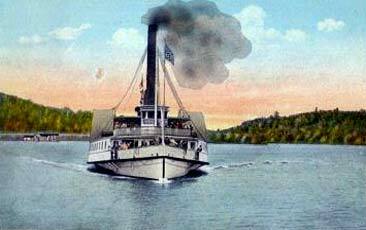 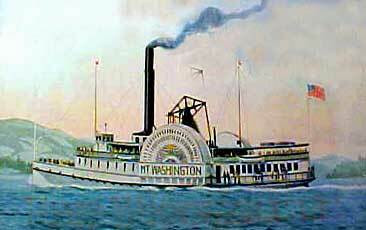 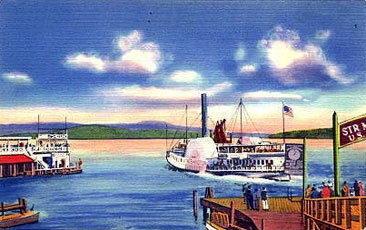 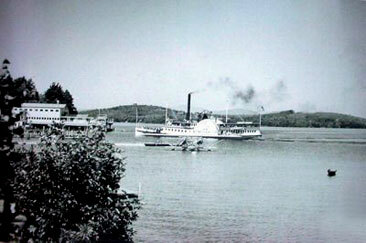 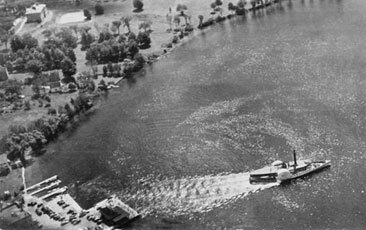 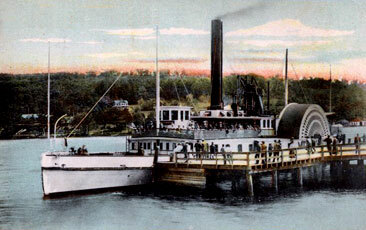 The vessel shown is of that "other" Lady of the Lake - the one that plied the waters of Lake Memphremagog, which spans the US/Canadian border in Vermont and Quebec. 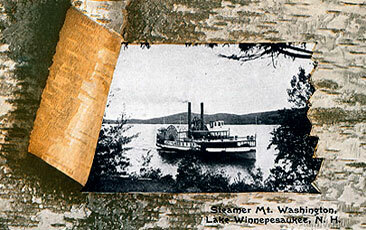 The five outstanding photos above were taken by photographer Walter Merryman in the 1930's. 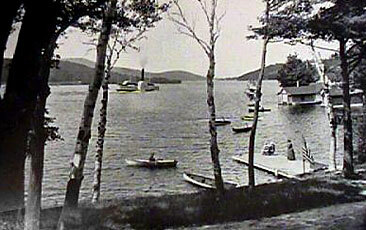 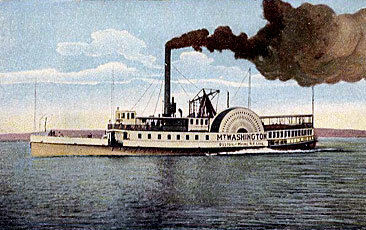 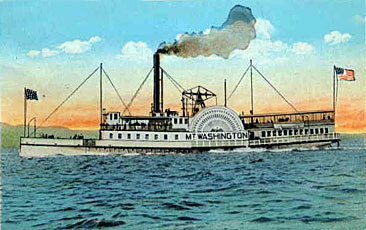 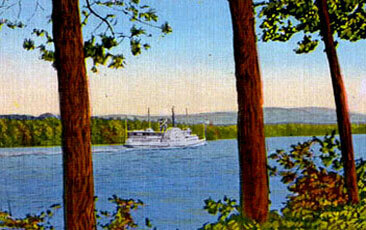 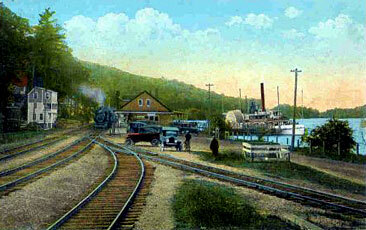 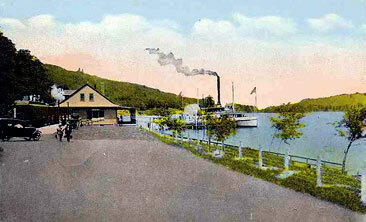 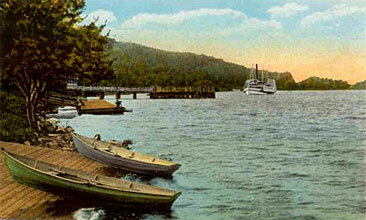 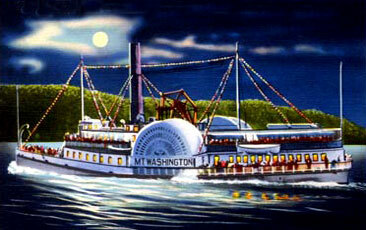 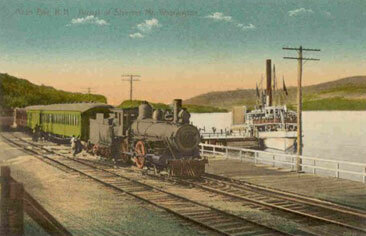 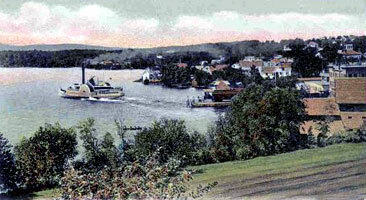 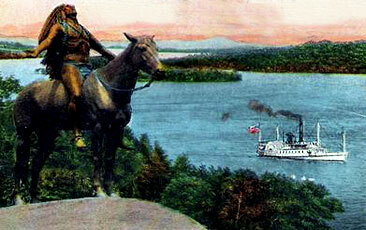 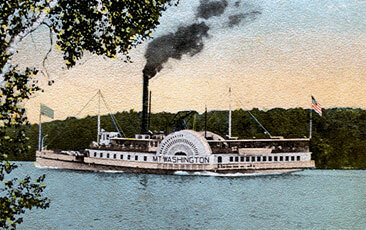 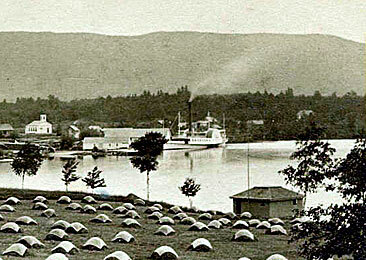 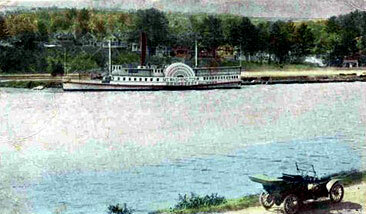 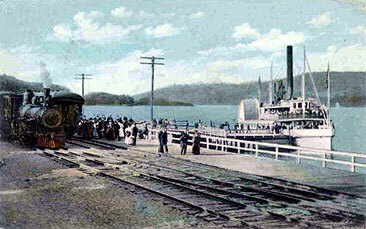 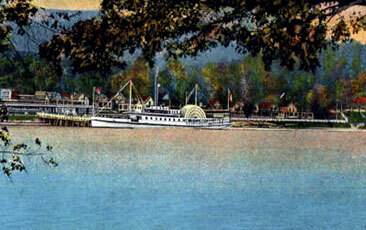 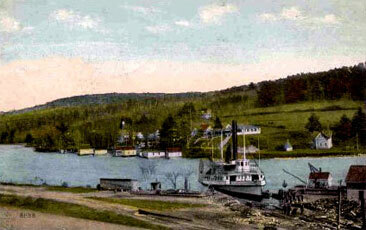 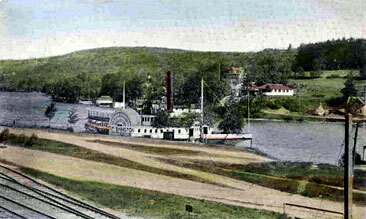 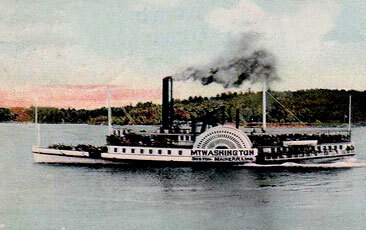 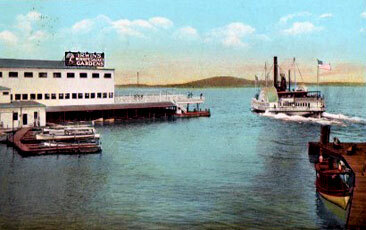 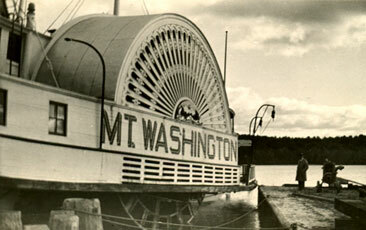 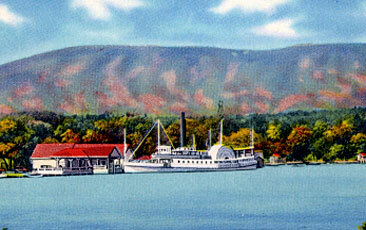 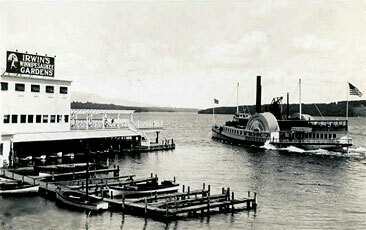 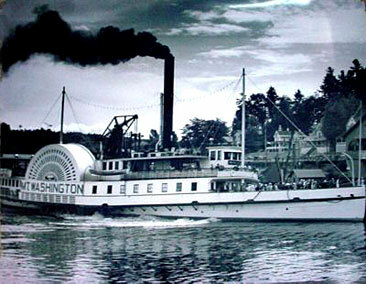 To continue browsing the Old Mount Washington image gallery, click here for Part II.